Because you deserve a little TLC. Some people hear “self-care” and think to themselves, “I don’t have time for that.” And they’re right, for the most part. In today’s world, it’s hard to find a moment to be at peace with ourselves. Between work, home life, and social upkeep, there’s little left in the day to reflect on who we are and who we’d like to be. Though it’s definitely not easy to do, it’s important to find time to unplug and focus on bettering yourself. 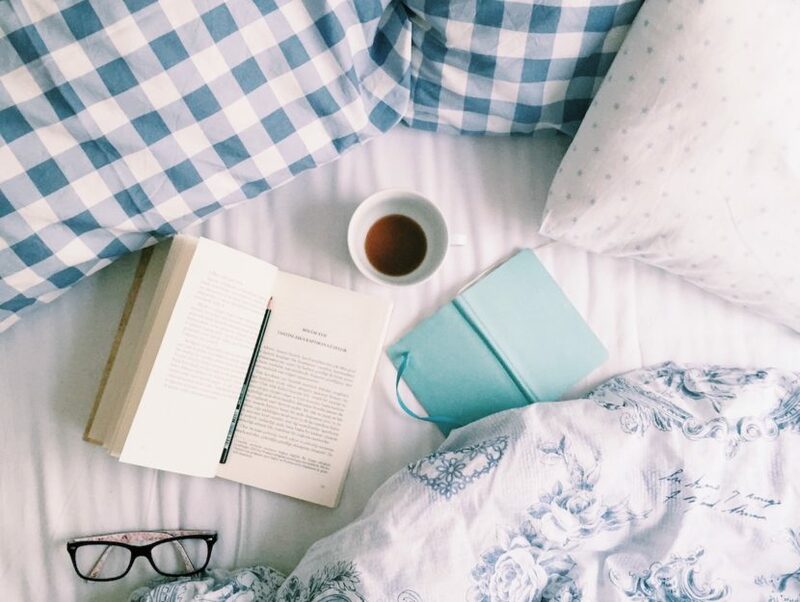 These self-care books will inspire you to devote more time and energy to yourself so that you can be the best you can possibly be this new year. We live in an increasingly connected world. Every day we are relentlessly encouraged to reveal information about ourselves by our peers, our family, and the big technology companies that profit from our transparency. In How to Disappear, Akiko Busch explores the idea of invisibility in nature, art, and science and argues that it inspires us to develop a deeper appreciation for personal privacy in a vast and invasive world. Charlie Ambler, the creator of the popular mindfulness blog Daily Zen, as well as the founder of a successful online apparel brand, Strike Gently Co., wrote this wonderfully illustrated guide to help readers observe the world around them, open their minds, and grow into the best person they can be. This journal is perfect for anyone who needs to de-stress and disconnect from the world for a little while every day. Professor Chandra is an internationally renowned economist, divorced father of three (quite frankly baffling) children, and … a recent victim of a bicycle hit-and-run. The doctor who oversees Professor Chandra’s injuries recommends that he take a step back from his high-stress career and focus on following his bliss instead. Professor Chandra doesn’t know it yet, but he’s about to embark on the journey of a lifetime. If you want to escape into a fictional world while still being reminded of the importance of self-care, this is a great read for you. Living a meaningful life is more difficult than ever before. Many of us feel as though we need to go to great lengths to achieve meaning, or significance. Emily Esfahani Smith explores how we can create meaning by talking to experts in thought and behavior, and by studying iconic figures in literature and history. Based on her in-depth research, Smith exposes a very powerful truth: We can find purpose in our lives simply by connecting with those around us, working toward a goal, and sharing our story with others. The book that started the Quiet Revolution, Quiet demonstrates the power of introverts who innovate, create, and listen. Susan Cain argues that we undervalue introverts in our society that favors extroverts. She charts the rise of the Extrovert Ideal throughout the twentieth century and explores how deeply it has influenced our culture and the way we think. Filled with compelling real-life stories, Quiet has the power to permanently change how we see introverts and how they see themselves. From the #1 New York Times bestselling author, You Are a Badass Every Day is a must for those who need extra help with staying motivated. This book will serve as a companion to keep readers driven and ultimately achieve their goals. Pocket-sized and under 250 pages, this guide is perfect for anyone who wants to make time for their ambitions while on the go. Start the new year right with this instant New York Times bestseller! Almost everyone has heard that “timing is everything,” but how often do we take action to improve it? Our lives are a never-ending stream of “when” decisions: when to start a business, schedule a class, get serious about a person. Yet we make those decisions based on intuition and guesswork. In this book, Pink reveals how best to live, work, and succeed using cutting-edge research to expose the scientific secrets of good timing. Did you know that Buddhist Monks are spectacular at cleaning and tidying? Neither did we, until now. In this one-of-a-kind guide to cleaning your home, Buddhist monk Shoukei Matsumoto reveals how to make your home, as well as your mind, body, and spirit, peaceful and serene. This book will allow you and your loved ones to create a home environment that will calm your thoughts and nourish your soul. Kakeibo is a life-changing tool for anyone who wants to really keep track of their spending without a ton of hassle. At the beginning of each month, this book helps you to plan how much you would like to save and what you need to do in order to reach your goal. Then, you write down your weekly spending and reflect on the month once it ends. It will keep you on track and make saving a part of your every day, while also giving you the opportunity to reflect on your finances and improve throughout the year. Eating healthy just got a lot easier. This 75 recipe cookbook will help even the least-skilled cook to create satisfying, nutritious meals in a flash. There are gluten-free options for each recipe, and all recipes are free of refined sugar and many of the most common food allergens. With dishes like Korean Chicken Bowls, Eggplant Parmesan Bake, Peanut Butter Crunch Granola Bars, Flourless Banana Oat Bread, and One-Pot Chocolate Cake and Frosting, following a healthy diet while enjoying your favorite whole foods has never been more achievable. Skinnytaste One and Done is perfect for busy cooks on the hunt for easy, healthy dinnertime solutions. Containing 140 delicious recipes that are each cooked in one vessel—an Instant Pot®, electric pressure cooker, air fryer, slow cooker, multi-cooker, Dutch oven, sheet pan, skillet, etc.—these meals are quick to make and easy to cleanup, making them family-friendly and convenient for everyone, everywhere. In this book, Katie Wells, author of The Wellness Mama Cookbook and founder of wellnessmama.com, shares the secret of how she manages six kids, a company, and a career without sacrificing a healthy lifestyle. This step-by-step guide to clean, natural living is easy to follow for even those with the tightest of schedules. Katie’s simple detox plan will allow you to live better by reducing toxic exposure, transforming your diet, and regaining control over your health. This is a must-have for busy women on the go who want to be healthy, but don’t have think they have the time. With Zero Sugar Diet, David Zinczenko demonstrated to Americans why they couldn’t lose those stubborn extra pounds. Now, David is back with a fool-proof cookbook to help us all kick sugar to the curb. With more than 100 mouthwatering recipes for sugar-free meals, drinks, snacks, and desserts, Zero Sugar Cookbook can help you to melt away belly fat, boost your energy levels and metabolism, improve your gut health, and take control of your health. In 1993, Norwegian explorer Erling Kagge took a solo trip across Antarctica for fifty days. He was the first person to ever reach the South Pole alone, with only a battery-less radio for company. The long journey was completely life-changing for Kagge, and in this book, he shares his experiences and findings while exploring the true meaning of solitude. He shows us why silence is essential to our health and overall happiness, and how it has the power to change the way we view the world. 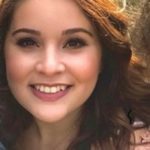 JESSICA MIZZI graduated from St. Thomas Aquinas College in May 2017 with a degree in Creative Writing and Journalism. She is currently employed at Penguin Random House. In her spare time, she loves to get lost in a good book, sing, and spend quality time with her two dogs.